Apple iPhone 8 Smartphone ko September 2017 mein launch kiye gaye tha. Phone mein 4.7 inches ke touchscreen display ke saath 750 pixels by 1334 pixels ke saath 325 pixels per inch PPI per aati hai. iPhone 8 ke India market mein price Rs. 61,645 se start hoti hai. Apple iPhone 8 Hexa-core A11 bionic process dura powered hai. Yeah 2GB RAM ke saath aati hai. Phone 64/256GB ka internal storage supported hain. iPhone 8 camera ke baat Kare to iPhone 8 mein 12MP ka secondary camera and 7MP front Camera hai. Apple iPhone 8 iOS 11 per runs karti hai or 1821mAh non removable battery Hai. Weight 148grams Hai. iPhone 8 single sim Smartphone hai Jo Nano SIM ko support karta hai. Connectivity option mein WiFi, Bluetooth, GPS, 4G supported phone hai. Phone ki sensor mein compass, proximity, accelerometer, ambient light sensor, gyro, barometer include hai. 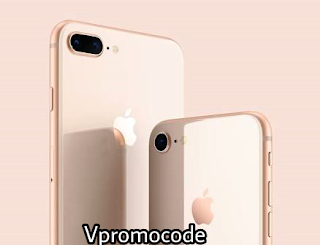 iPhone 8 ab Amazon, Flipkart jasie e-commerce website per bhe available hai ager aako iPhone 8 related koi comment Karna ho to comment box mein Kare.